just when to plant, how to get the timing right, what to add to the soil, and where to water. Cover crops and green manures and terms used interchangeably for plants grown to build and enrich soils. 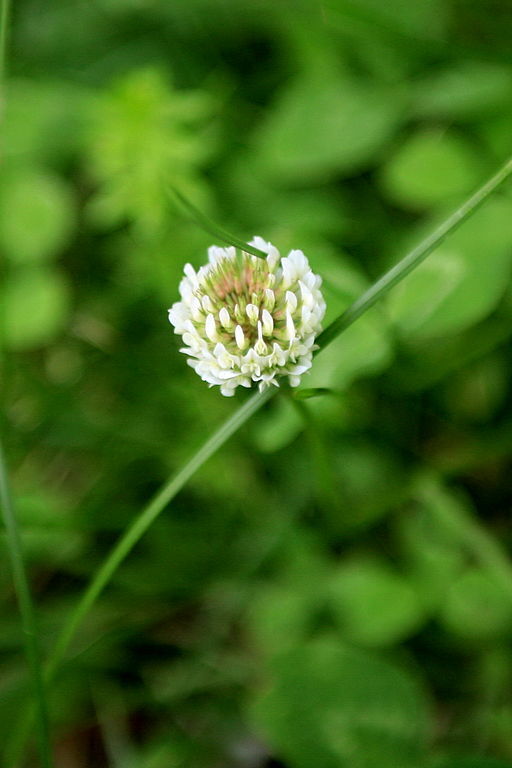 Cover crops specifically refer to plants that provide benefits by covering bare soil, while green manures specifically refer to plants that benefit the soil by adding nutrients. Most cover crop and green manure choices supply both of these benefits, and many more, at the same time. Over time, through trial and error, I figured a few things out. Like most gardening expertise, successful green manuring is an art. The truth is that there’s very little you can do wrong, but getting green manures completely right takes some planning and experimentation, along with a healthy anti-procrastination pill to keep from missing that fall or spring planting window. The payoff, even when we don’t get it completely right, is more than worth the cost of the cover crop or green manure seeds, in my opinion. Why? The living soil loves living plants. And they love them even more when we don’t take them away, turning them back to feed the soil instead. Living cover crops and green manures have a lot of advantages over traditional haul and turn amendments like manure, compost, and organic fertilizers. For starters, living plants have roots. I don’t want to get too scientific (you can skip the mumbo jumbo and get right to the quick and dirty of cover crop use here), but there’s a ton of stuff going on in the space right around living roots of plants in the soil. So much so, that this zone between root and rootless soil has its own name, straight out of a sci-fi movie: the rhizosphere. And there are whole teams of scientists who study this tiny rhizo-universe. When rhizosphere scientists image the soil, they find red-hot zones of life in the space right around soil roots. The more roots in the soil, the more red-hot zones of life exist. Why? Roots are actually far more active than many of us realize. Sure they tunnel and churn their way through tons and tons of soil with truly supernatural power and strength, if you stop to think about it. What’s even more surprising to those of us who dwell above ground, is that roots are actually dripping in secretions. They constantly ooze and exude yummy proteins and sugars that are candy to soil organisms. If you’re a microbe, fungi, nematode, or protozoa looking for a party, the rhizosphere is the place to go. This is a good thing for our gardens. Life, especially active life, builds rich, organic matter and health in our soils. A fallow time in the garden, without green manures and their party wagon roots, is a lost opportunity for soil life and organic matter. And then we come to nitrogen – can I get an amen? I’ll be writing more about the Gospel of Nitrogen in future posts. Essentially, our gardens gotta have it; we gotta get it. Most of the time it’s going to cost us money too, whether per pound of fertilizer or in gas needed to haul manure. When we use legumes (bean-family members) as green manures, they grab nitrogen out of the atmosphere, tear it apart in microbe-run factories in the plant roots, and put it into the plants. These plants are now free nitrogen fertilizer for our gardens. We just need to turn them back into the soil at the right time to meet to maximize this garden gold. Sounds good, but what’s the secret? Unfortunately, there’s no real secret. It’s a matter of trying and trying again, throwing seeds out until you find what works for your schedule and own gardening style. To get started, there’s three basic things you need to know. Most of these you’ll figure out along the way, but here’s a roadmap to get you started. Advantages: Grasses have lots and lots of roots. They build large stocks of long-lasting organic matter. They improve soil structure, which helps water drainage and root growth. Why choose grasses: You want to build organic matter in a sandy soil to hold onto water or nutrients better. You want to soften clay soils. You add them to a well-rounded cover crop guild that includes a nitrogen fixer and a flowering plant. You want to catch and hold on to garden nutrients at the end of the growing season. Advantages: Usually quick growing. Often have flowers that attract pollinators. Perform various functions, depending on the plant. Why choose forbs: You want to take advantage of short growing windows between summer crops. You want to cover bare space to supress weeds and build organic matter. You want to beautify your garden, add diversity, and provide pollinator food source. You want to biotill compacted soils with root crops like daikon. You want to catch and hold on to garden nutrients at the end of the growing season. You want to add flowers to a cover crop guild. Advantages: Adds nitrogen to the garden. Suppresses weeds. Builds soil organic matter. Why choose legumes: You want to fertilize your garden with nitrogen the free and natural way. You want add a nitrogen fixer to a cover crop guild. You want to plant a low growing ground cover that also fertilizes your garden. Examples: Cowpea, favas, red clover, alfalfa. You’ll also need to figure out when and where to plant. This will help you decide which cover crops are best suited for your needs. If there’s a bare spot that needs covering, throw down a quick-growing forb in the summer and turn it in before fall or winter crops. If you want to prepare ground a year in advance, reserach the best guild for your particular soil and take the time to prepare the beds and get the cover established. For regular fertilizing and soil building rotations, choose a fall-planted cover to prepare soils over winter and a spring planted one to give soils a head-start for late summer vegetable rotations. Treat cover crops like any other plant you grow in your garden. For the home garden, I general double the seeding rate suggested in cover crop guides. If you want a good harvest, in this case a soil building harvest, water and weed plants while young. Hopefully, they will provide a good enough cover to outpace weeds once established. It sounds contradictory to our green-thumbed eco-friendly garden lifestyle, but the the most important part of green manuring is how and when to kill the cover crop. In the life cycle of a plant, it’s composition changes. As plants age, they become stiffer, browner, and less nutritious (although they do put out some tantalizing fruits due to the powers of reproduction). To feed the soil, we want to capture green manures at the height of their growth, before they start losing nutritional value. You can think of this as the fecund adolescence of the plant. For legumes, this is right as they start to bud; for grasses, right as they start to bolt; and for forbs, before they go to seed. In cold enough climates, winterkill does a great job of taking care of over wintered cover crops for you at just the right time. In other climates, pull up and turn in the green manures in by hand with a fork, spade, or heavy-bladed hoe. I sometimes even pull out the rototiller for a light pass, if incorporating the green manure is a big job. Let the green manures mellow (in other words, be eaten by microbes) for a few weeks before final soil prep and planting. For a no-till approach, pull up cover crops and mulch them on the soil surface. To keep the nitrogen in the soil, cover green manures with something brown, like straw or leaves. The good news is that we don’t all have to be cover crop experts to figure what, when, and where to plant. Other folks have done that work for us. There’s a number of really good online resources that give the exact specifications on planting rates, planting times, and optimal kill times. Plan ahead to choose what and when to plant, then do it! There’s no time like the present to capture all that free water, sunlight, air, and nitrogen to grow better garden soils. Hi, Trying to find out how Tall some of the green manures grow. Have buckwheat for the bees but may use at outside edges of garden as well. Been having trouble with invasion of native mint. Been pulling up its nasty rhizomes. The other is PVO mix (peas,vetch,oats) which I put between rows of squash. Planted it yesterday and thankful for gentle rain today. I live in New England (Vermont). Thankful for advice. Have soil which is on the heavy side-more clay.